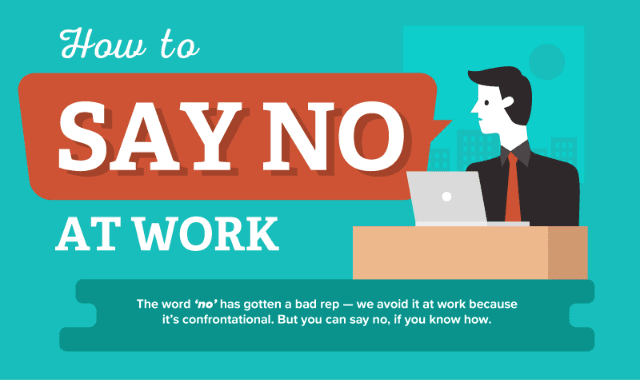 How to Say No at Work #Infographic ~ Visualistan '+g+"
The word 'no' has gotten a bad rep - we avoid it at work because it's confrontational. But you can say no, if you know how. Have a look!